The Football Autograph Encyclopedia | Celebrating the game, the players, the cards, and the autographs for over 25 years. Way not to step up to the plate Panini. I don’t get it. 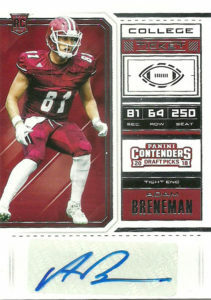 I really like what they do, but when it comes to the intangibles of the market, Panini just falls flat on their face. 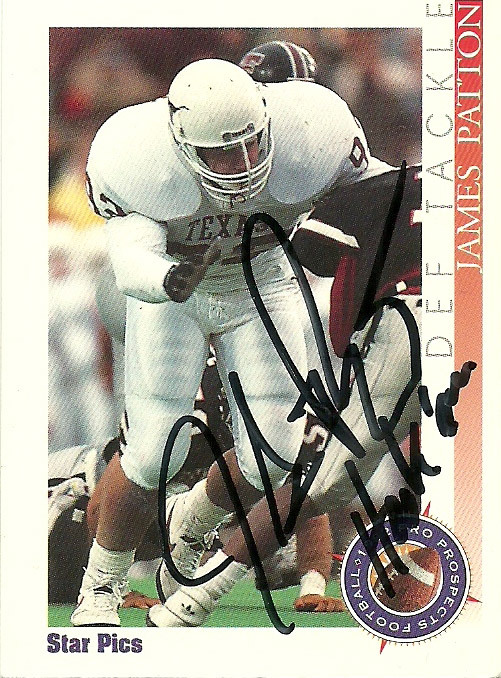 Case in point: Serving me an autograph of a player who wasn’t drafted. OK. That’s not so bad… What’s bad is the fact that this guy retired a month BEFORE the draft due to lingering knee injuries. In fact he’d been retired so long that he’s had his PR team scrub his wikipedia entry, highlighting his accomplishments and billing him as a ‘political operative’, rather than a football player. I mean, Panini either didn’t care or didn’t have the time to remove all his cards/autographs from the set, but still Panini should’ve offered me a replacement, at least, instead of crickets on Twitter. 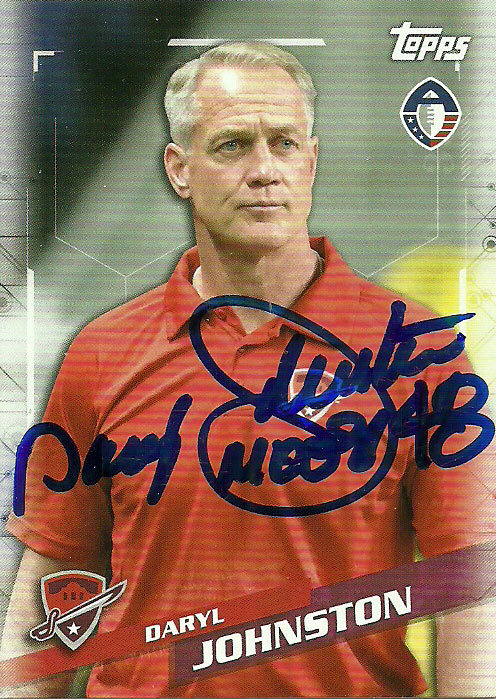 Since I got this initial card, I have pulled an additional 2 duplicates of this autograph which begged me to wonder how poor the sorting machine is at Panini. Ok now- let’s talk about Adam Brenemen. A lifelong football fan of the Philadelphia Eagles, Adam was recognized and encouraged by his coaches while in high school for his athletic talent. He went to college initially at Penn State and in his true Freshman year caught 15 passes with 3 going for touchdowns; However an MRI in 2014 showed significant knee ligament damage- so much so that Adam had to leave the sport behind. Still hearing the siren’s call, Adam decided to give it another shot after transferring to UMASS in 2016. He put up some great numbers playing for the Minutemen with 70 catches for 808 yards and 8 TDs in 2016, and 64 receptions for 764 yards and 4 TDs. Unfortunately his lingering knee injury worsened and he was forced to retire before draft day at the age of 22. “No thanks.” , Much to his quizzical look as I walked away. 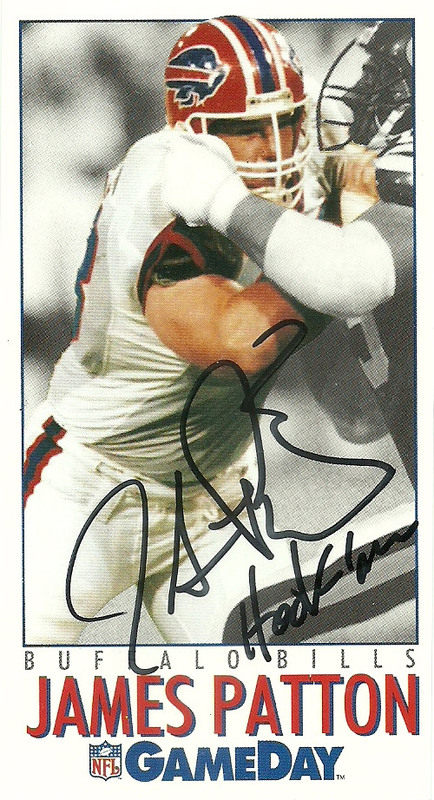 I know a lot of the current generation is into selfies as a way of getting autographs, but to me nothing beats the ink- especially on cards. I’m pretty sure the day before the Salt Lake Stallions game, I was able to get a hobby box of the Alliance football cards. Inside I was able to break most of the Commanders, to carry with me to the game. It was a date night for my wife and me, since I had the extra seat. The bonus was the league had shifted my seat around so many times that they gave me hats and field passes for one of the games- so I elected for the Stallions game hoping to rake in the autographs. It really didn’t go as planned as my wife found the whole experience sort of boring and to top it off she was hangry, so we had to leave the field a little bit earlier than normal. I did however stop and talk to Daryl. This card captures Daryl’s demeanor perfectly: Quiet. Alert. Calculating. Intense. -He pretty much had this expression on the entire season. Daryl worked mightily for the Commanders the entire season getting up to speed as a GM. Hungry and determined, he put together a competitive team right out of the gate. He also helped advise the league through negotiations with the NFLPA, all the while spending time apart from his family. It was a shame the way it ended. Even in the mess that it has descended into, Daryl has exuded class, loyalty, and honor. I listened to him on San Antonio radio discuss how the AAF fell apart, how he was just as blindsided as the rest of us, and how he felt badly for the city of San Antonio and the players, coaching staff, and fans of the team. He’s now looking into opportunities with the Cowboys. I hope he gets that shot because I think he’d be an amazing GM at some point wherever he ends up.